Published: Oct. 19, 2015 at 11:37 p.m. Published: Oct. 19, 2015 at 09:03 p.m.
Philadelphia Eagles quarterback Sam Bradford threads the needle on a touchdown pass to Riley Cooper to put the Eagles on the board against the New York Giants. Published: Oct. 4, 2015 at 02:44 p.m.
Philadelphia Eagles quarterback Sam Bradford hits wide receiver Riley Cooper deep for a 62-yard touchdown pass to break the game open for the Eagles' offense. 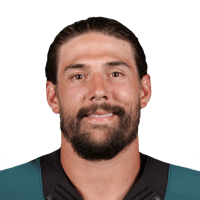 Published: Dec. 20, 2014 at 06:57 p.m.
Philadelphia Eagles quarterback Mark Sanchez finds wide receiver Riley Cooper for his second touchdown of the day.